Cosmetic dentistry can fully restore a tired-looking smile. 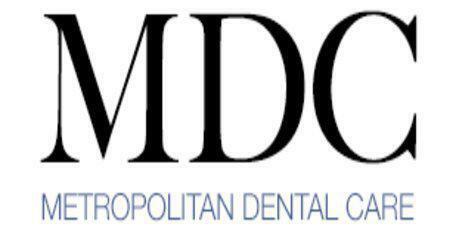 Dr. Nicole Mermet is a Midtown, New York, NY area dentist, serving Bryant Park and Grand Central Station, who has extensive experience in cosmetic dentistry, and she is ready to help patients achieve the smile of their dreams. Cosmetic dentistry includes a wide variety of procedures today. Among the most popular of these are dental teeth whitening, veneers, straightening devices such as Invisalign, dental implant restorations, bridges, and crowns. Many people have several of these cosmetic procedures to help bring their smile to its very best and brightest. For example, people who are unhappy with both the alignment and the color of their teeth will be pleased with the results that they will get from Invisalign and teeth whitening. Does Insurance Pay For Cosmetic Dentistry? This can vary by situation. If a dental procedure is purely cosmetic, then the dental insurance will typically not cover the cost. However, there are some situations when a procedure is medically necessary, but it has cosmetic benefits as well. In those cases, the insurance may pay for the cost of the procedure. This might apply in situations such as missing teeth that require dental implants. While the dental implant is medically necessary because it will allow the patient to eat, talk, and function normally again, it also happens to have the cosmetic benefit of restoring a full smile. To determine whether a certain procedure is covered by insurance, it is best to discuss it with both the dentist and the insurance company before scheduling the appointment for the dental work. Even if insurance will not pay for the procedure, there are dental procedure financing options available. In a smile makeover, a patient has multiple cosmetic dentistry procedures at or around the same time. A smile makeover can include teeth whitening, teeth straightening with Invisalign, veneers, dental implants, and more. The dentist and patient can work together to determine exactly what type of procedures will yield the desired results. A smile makeover can literally give patients a whole new smile.